Some of the links below are affiliate links. Read our Affiliate Disclosure here. The foods will be exploring come straight from one of my favorite books “Super Foods” by Steven Pratt and Kathy Matthews. They list fourteen foods that offer optimal nutrition. These foods are simple, whole foods, that are easily attainable and affordable. There are many different kinds of beans. Beans are a super food super star! There are a wide variety of beans including pinto, navy, Great Northern, lima, garbanzo, lentils, green beans, sugar snap peas and green peas. Though they’ve been around for centuries, beans have recently been heralded as a super food. Here’s why. Beans are rich in complex or “good” carbs. They offer an array of vitamins, minerals, and antioxidants PLUS they’re a great source of protein! Unlike most animal proteins, beans provide little to no fat and are cholesterol-free. Beans have also been shown to lower cholesterol and triglyceride levels. They’re even low-glycemic to boot! 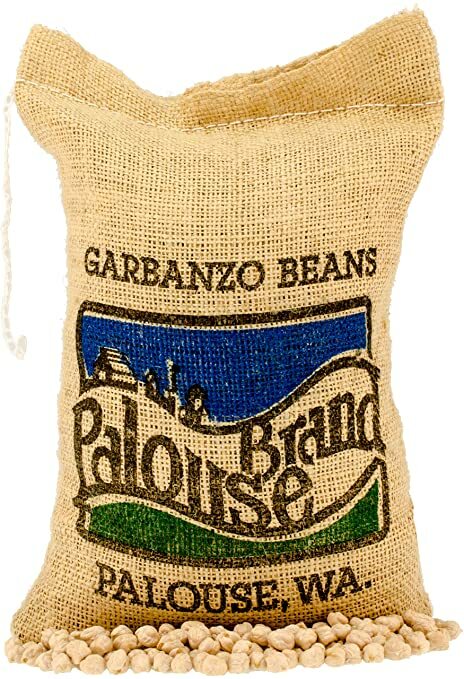 Palouse Brand offers an exceptionally high quality chickpea product that Non-GMO Project Verified, 100% Non-Irradiated and Certified Kosher Parve. They grow the chickpeas in the fertile soils of Washington State. Each bag comes with a code you can enter on our website to identify the field we grew it in and harvest date. Oh – and the Jute bag that it comes in is completely green and reusable! Oh, and since they don’t irradiate the beans, they will sprout! Bean sprouts anyone? The high antioxidant content of blueberries have been shown to have a significant anti-inflammatory effect in the body Many diseases and conditions are characterized by inflammation. 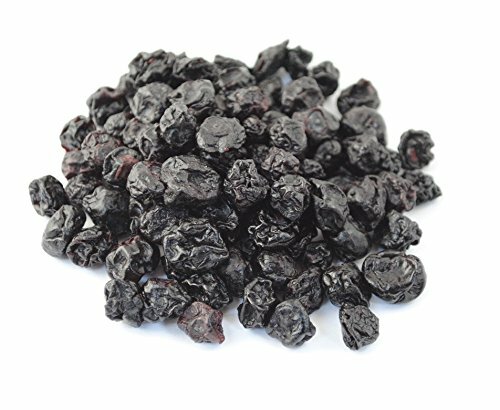 Dried blueberries make a great addition to healthy trail mix. Other top antioxidant foods include golden berries, dark chocolate, goji berries, pecans, clove and cinnamon. As if that weren’t enough to earn broccoli the title of super food, it’s also a good source of folate (folic acid) as well as providing potassium, and fiber. One cup of oats comes in at 51 grams of carbs, 13 grams of protein, 5 grams of fat and 8 grams of fiber. That’s a lot of nutrition for a measly bu 303 calories. That makes oats among the most nutrient-dense foods you can eat. 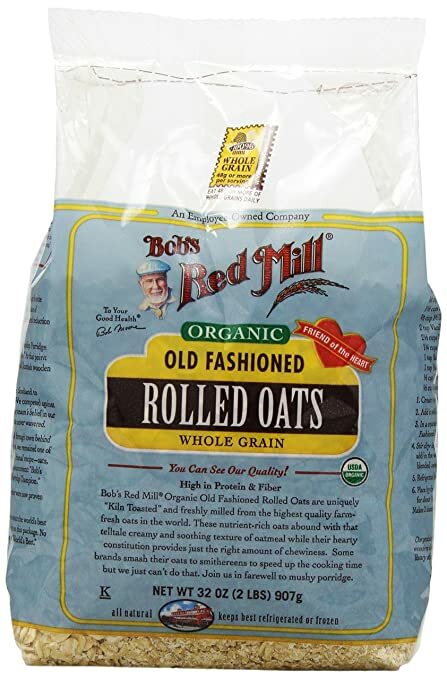 My favorite is Bob’s Red Mill, Organic Old-Fashioned Rolled Oats. It’s a color – it’s a food – it’s a super food – it’s oranges! Oranges are low in calories while packing a flavor full punch of fiber and vitamin C as well as a range of other important vitamins, minerals and antioxidants. Oranges are a good source of several vitamins and minerals, especially vitamin C, thiamin, folate and potassium. One large orange can provide over 100% of your RDI. Oranges are a good source of potassium. High intake of potassium can lower blood pressure in people with hypertension and has beneficial effects on cardiovascular health. The potassium plus their high water content makes oranges a food that hydrates you. Pumpkin is next on our tour of endurance foods. Pumpkin seeds pack only 50 calories per cup and 3 grams of fiber. A cup of cubed pumpkin contains almost twice the recommended daily intake of vitamin A, which promotes good vision, especially in dim light, according to the National Institutes of Health. Pumpkins are also a good source Alpha carotene, Beta-carotene, fiber, vitamins C and E, potassium, magnesium, pantothenic acid. Benefits include reduce the risk of cancer, heart health, anti-oxidant, anti-inflammatory, prevents free-radical complications of diabetes. Salmon’s biggest claim to fame is the vital omega-3 fatty acids they provide. Omega 3 fatty acides are the reason salmon has a reputation of being “brain food”as well as “heart healthy food.” However, salmon brings more to the nutrtional party than just omega 3 fatty acides. Salmon is an excellent source of high-quality protein, vitamins and minerals (including potassium, selenium and vitamin B12). Looking for a high quality omega-3 supplement? Try Extra Strength Green Lipped Mussel Oil Capsules It provides all natural health support for aches and soreness . The green lipped mussels used to make the supplement are the only known source of eicosatetraenoic acids (ETAs) which is known to inhibit inflammation. According to the American Heart Association, there is a strong correlation between inflamation and coronary heart disease. Soy makes the super food list for a multitude of reasons. Despite the fact that it’s inexpensive, it provides a plan based wealth of vitamin- and minerals with lots of soluble fiber and plant-based omega-3 fatty acids. One of soy’s biggest claim to fame is the wealth of disease-fighting phytonutrients it provides. Soy is the richest known dietary source of powerful health-promoting phytoestrogens. A phytoestrogen is a naturally-occurring plant nutrient that exerts an estrogen-like action on the body. Scientists have discovered hundreds of phytoestrogens including soybeans, whole grains, seeds (especially flax), nuts (especially walnuts) and many herbs. Plant estrogens do not eliminate all of estrogen’s effects, but they do minimize them. They have been shown to reduce breast cancer risk and relieve menstrual symptoms. For men and boys, the phytoestrogens in soy do not appear to have any effect on hormone levels and have not been shown to affect sexual development or fertility. Spinach is probably the most well publicized super food thanks to Popeye. If you want to add variety to your dark leafy greens, consider adding some of Spinach‘s side kicks like kale, collards, Swiss chard, mustard greens, turnip greens, bok choy, romaine lettuce. 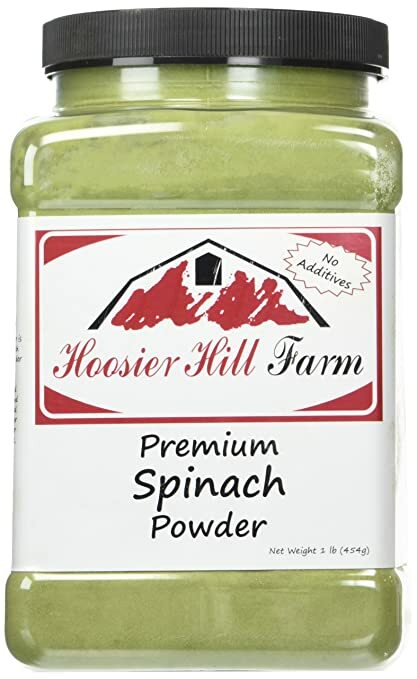 Hoosier Hill Farm Premium Spinach Powderpolyphenols, betaine. The lutein and zeaxanthin is an amazing superhero duo in spinach. It acts like sunscreen for your eyes and guards against macular degeneration. To be sure I get all of these nutritional benefits, I add powdered spinach to my smoothies to supercharge them nutritionally. Sometimes I’ll add a scoop of powdered Kale as well. I choose Hoosier Hill Farms products because they’re located just a few hours south in Fort Wayne, Indiana. 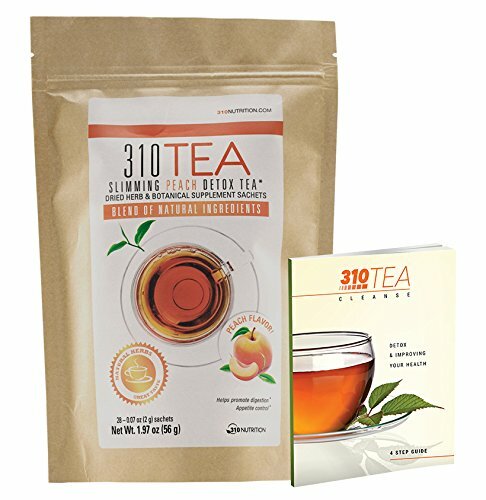 Tea could qualify as a super food just because of the pleasure and relaxation it provides. However, it’s a nutritional super star too. Tomatoes are so familiar that many times they get overlooked as a super food super star. They’re a good source of Vitamin E (Alpha Tocopherol), Thiamin, Niacin, Vitamin B6, Folate, Magnesium, Phosphorus and Copper, and a very good source of Dietary Fiber, Vitamin A, Vitamin C, Vitamin K, Potassium and Manganese. According to WebMD, lycopene is also thought to prevent heart disease, “hardening of the arteries” (atherosclerosis); and cancer of the prostate, breast, lung, bladder, ovaries, colon, and pancreas. Lycopene is also used for treating human papilloma virus (HPV) infection, which is a major cause of uterine cancer. Got turkey? This super food has graduated from being the star of holiday family gatherings to being the star of breakfast, lunch and dinner. This versatile animal protein has earned the title of super food. Skinless turkey breast is one of the leanest animal proteins around. This lean meat has more than just protein to offer. Turkey breast is full of nutrients like niacin, selenium, vitamins B6 and B12, and zinc. These nutrients are heart-healthy and also valuable in helping to lower the risk for cancer. Turkey is rich in compounds like potassium, niacin, zinc, thiamin which are known to increase your metabolic rate. Studies have shown that people with an enhanced metabolism are less prone to gaining weight. Turkey is probably best known for being high in tryptophan. This is an essential amino acid. The body uses tryptophan to make serotonin. It is a neurotransmitter found in your brain, blood platelets, and digestive tract. That means eating turkey on a regular basis can help balance your mood. Nutritionists suggest that serotonin deficiency could result in high levels of stress and severe depression. Serotonin is also essential for healthy sleep as well as being a powerful mood booster and stabilizer. Tryptophan is the reason so many of us want to take a nap after Thanksgiving dinner. Try Turkey Quinoa Soup for a nutritious and delicious lunch option. Walnuts are at the top of the super food entries in the nuts category for a number of reasons. They are one of the few rich sources of plant-derived omega-3 fatty acids (alpha linolenic acid, or ALA) along with canola oil, ground flaxseed and flaxseed oil, soybeans and soybean oil, wheat germ, spinach, and purslane. Let’s see, they’re nutritious – they’re tasty – they make a great addition to trail mix AND they may prevent cancer! Bring on the walnuts! 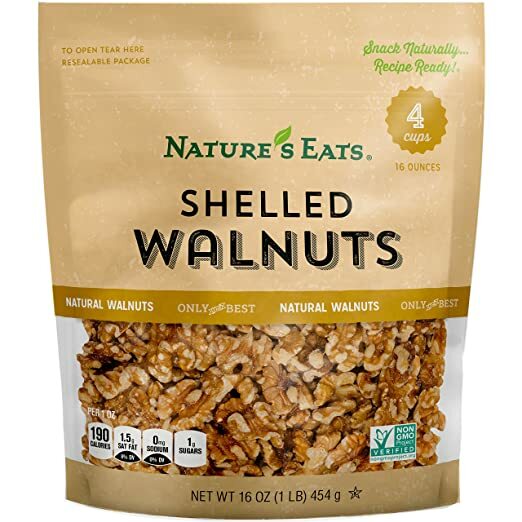 I like Nature’s Eats shelled walnuts. They’re 100% natural heart healthy snack that is Star-K Kosher certified. #14 Super Healthy Super Food: Yogurt. When you talk about yogurt, there are two different types. Greek yogurt is simply yogurt that has been strained in a cloth, paper bag or has been filter to remove the excess liquid. Both regular and greek yogurt are chocked-full of probiotics. Probiotics are beneficial bacteria that can improve digestion and bolster immunity. These are my 14 favorite “endurance foods.” Being an athlete, I have noticed quite an improvement in my endurance as I train for triathlons when my diet is rich in these essential foods. Do you need more endurance for sports, work, play, and sometimes just making it through the day? Try adding these 14 super healthy super food endurance foods.